At NuFlow St. Louis, we’re committed to serving our Belleville customers with the latest in plumbing technology. Through the use of trenchless solutions for sewer line replacement in Belleville, we can restore pipes to working order much faster than traditional methods. As pipes age, they become more susceptible to damage and plumbing malfunctions. If your house is more than 50 years old, the pipe material may be outdated or made of galvanized pipes, lead, tar paper or clay. Unfortunately, none of these materials are made to last and they can break down, collapse, or cause an emergency at any time. Newer systems may be affected by improper installation or the invasion of roots from nearby trees in your property. At NuFlow St. Louis, we can diagnose the cause of your sewer problems by using an HD CCTV camera affixed to a flexible line to get to any point, regardless of depth, angles and bends. Our range of eco-friendly solutions ensure there’s little to no damage to your landscape and cracks, holes and breakdowns are handled with efficiency and minimal downtime. Our trained technicians start sewer line replacement in Belleville with a comprehensive sewer camera inspection to determine the exact cause of the problem. We gather pertinent sewer line details such as your pipes’ depth, location and material to formulate a plan of action. This procedure can be done without needing to dig if your property has an open cleanout or access point that leads to your sewer system. At NuFlow St. Louis, we have invested in the latest NuFlow pipe lining system and pipe bursting technology to provide a speedy resolution for our customers in Belleville. Our expert technicians put in place a liner that’s coated with epoxy resin inside the problem pipe, and then use a piece of equipment to inflate the liner and make the epoxy stick to the inner walls, effectively forming a new pipe within the old one. The seamless, jointless material can withstand common pipe problems such as leaks, cracks and tree root invasions, and is expected to last up to 50 years or more. At NuFlow St. Louis, our technicians are trained to carry out trenchless sewer line replacement in Belleville without having to destroy your lawn, yard, or landscape. A machine pulls the pipe in place along the old pipe’s location, bringing a bursting head that scatters the old pipe material and sending it to the surrounding soil. What’s more, only two access points are needed and you won’t have to spend time or money to put your landscape back together. 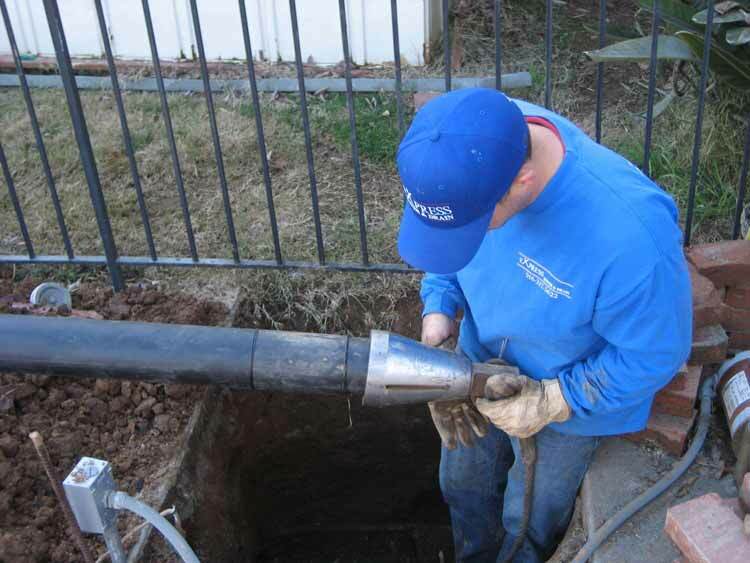 Without trench digging, our technicians can replace your pipes with newer, stronger materials in a day. The speedy method allows you to get back to your day knowing that the new pipes won’t cause any more problems. We save our customers money by making sure we do it right the first time. Call us for trenchless sewer line replacements in Belleville today.